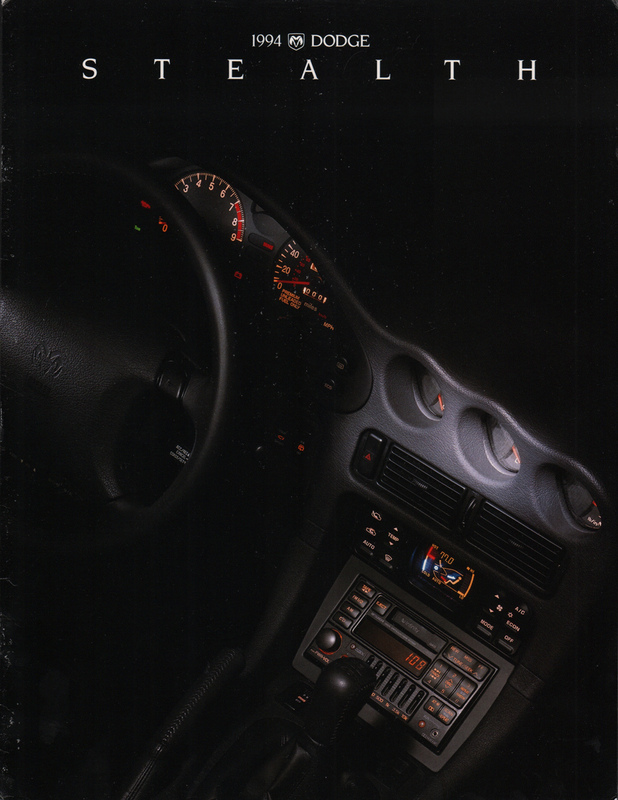 Sales catalog for the 1994 Dodge Stealth R/T Turbo with a 320hp 3.0L Turbo V6 engine. There is also a 164hp 3.0L V6 baselevel model, and a 222hp 3.0L DOHC V6 R/T model. Exterior colors are listed as Jet Black, Firestorm Red, Emerald Green pearl coat, Medium Green, Dark Blue pearl, Brilliant White, Grayish White pearl, tinted Silver metallic, and pearl Yellow.